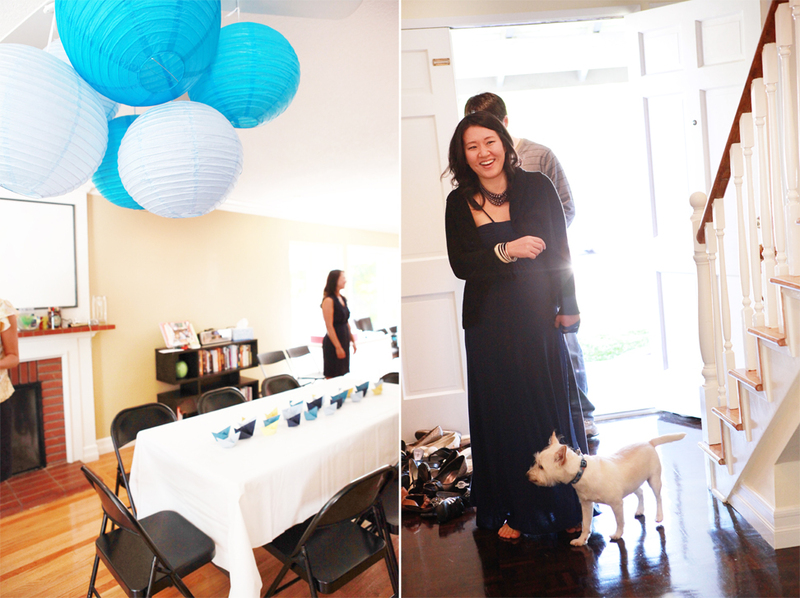 These photos were from a baby shower given for a good friend a while ago. 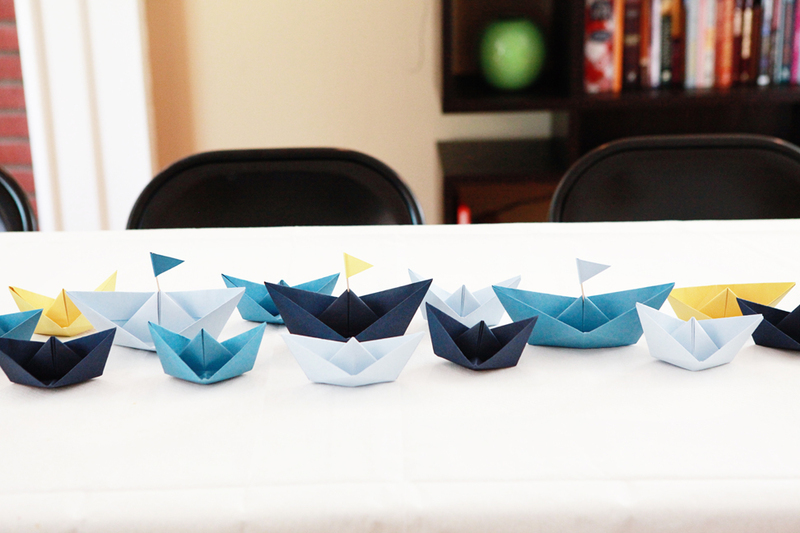 There were many loving hands that prepared a delicious menu, folded a fleet of paper boats, hung up decorations, etc., in order to set the stage for a fun afternoon. 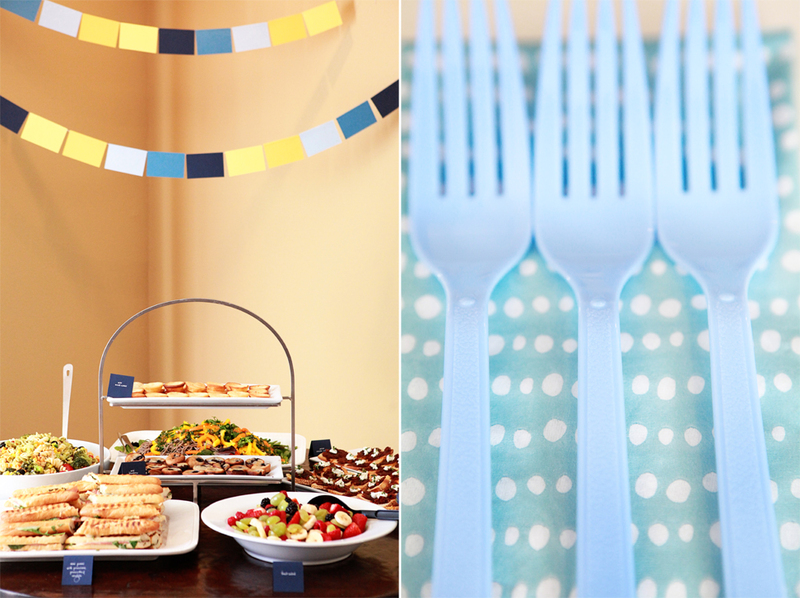 The colors and nautical theme were inspired by posts by Scouts Honor Co., Dozi Design and Once Wed. 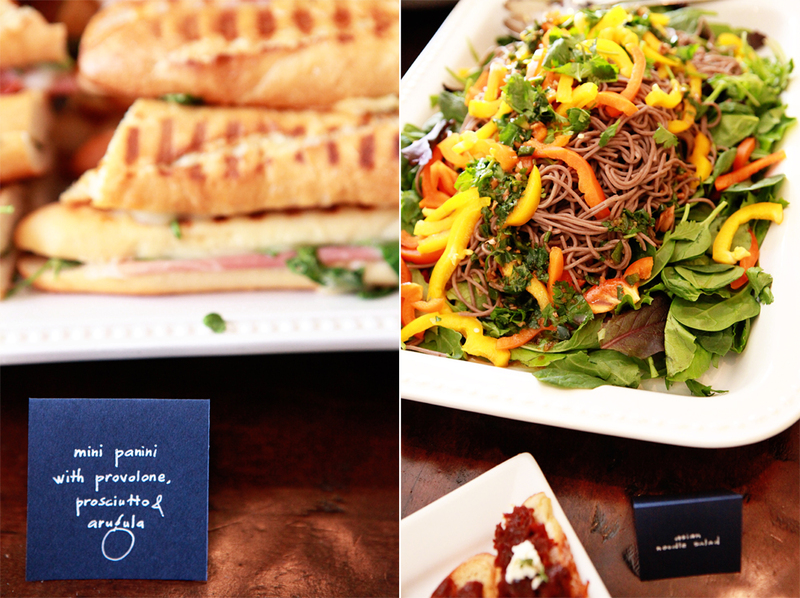 The spread include egg salad sandwiches, fruit salad, mini spinach and mushroom quiche, crostini with sundried tomato jam, Asian noodle salad, blueberry mochi mini cakes and panini, buttered and filled with provolone, prosciutto and arugula. 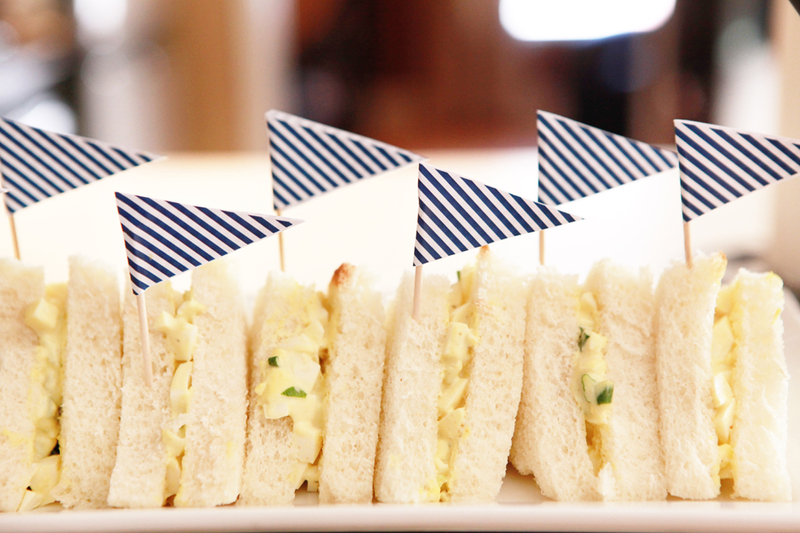 The striped navy flags atop the egg salad sandwiches were courtesy of Hank and Hunt. 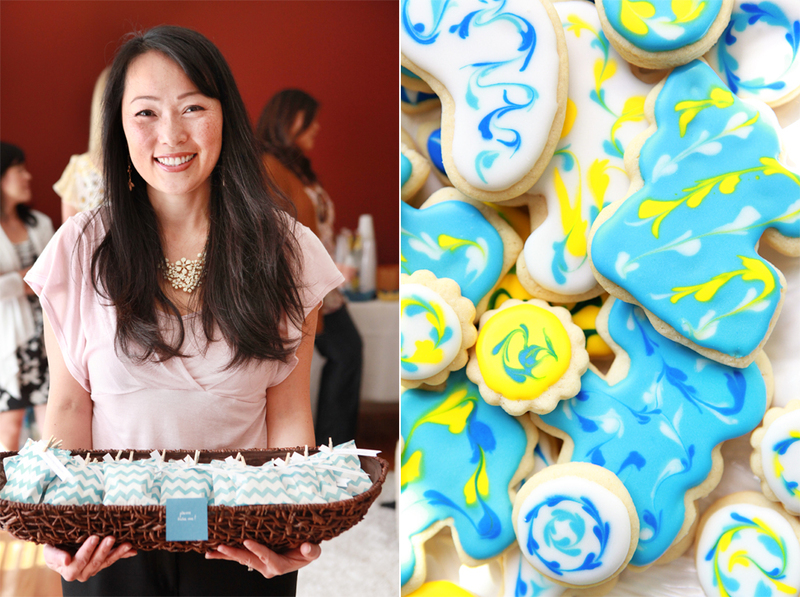 The favors were sugar cookies with swirled royal icing designs packaged in little blue chevron bags. 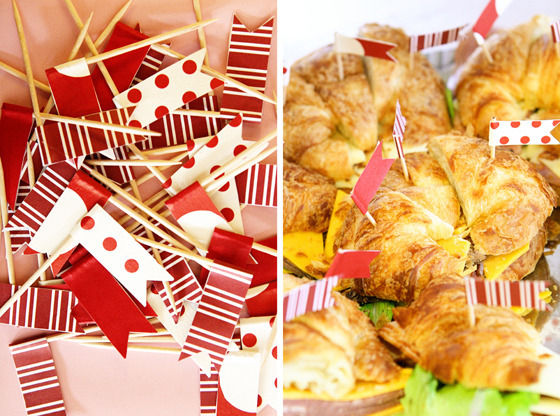 It was a wonderful time and lovely way to welcome a little one into the world! 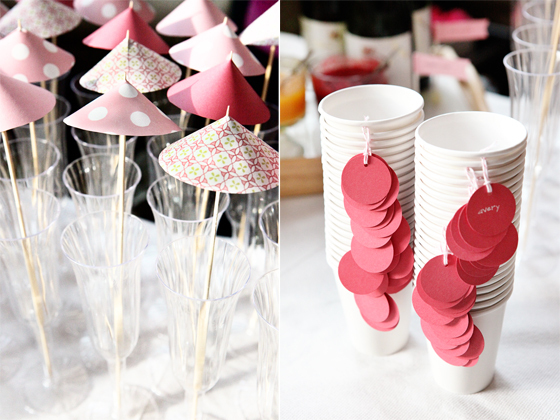 Details I provided at a baby shower last fall: flags used for food description, drink parasols and drink name tags (Paper Source card stock and pink Divine Twine). 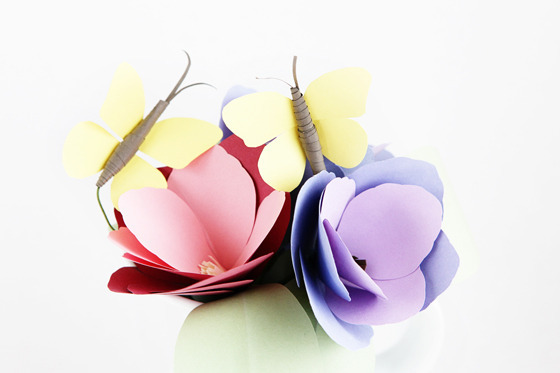 Here are some more flowers (with butterflies this time!) 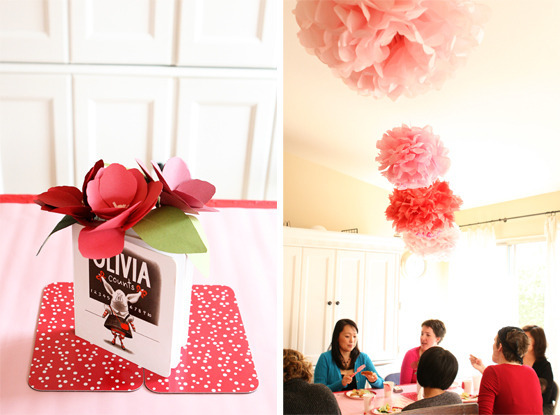 I made for a friend's baby shower in the spring using Paper Source's Magnolia Paper Flower Kit and Butterfly Kit. 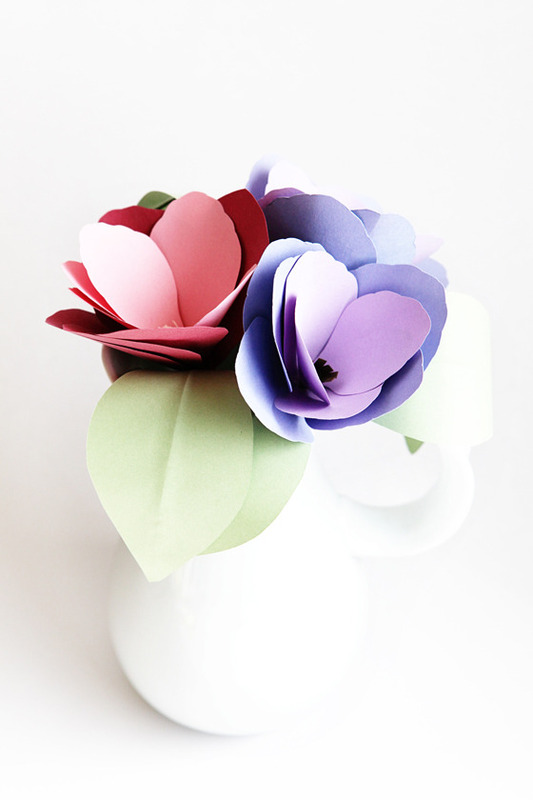 Wouldn't it be lovely to fill a pitcher with just butterflies? 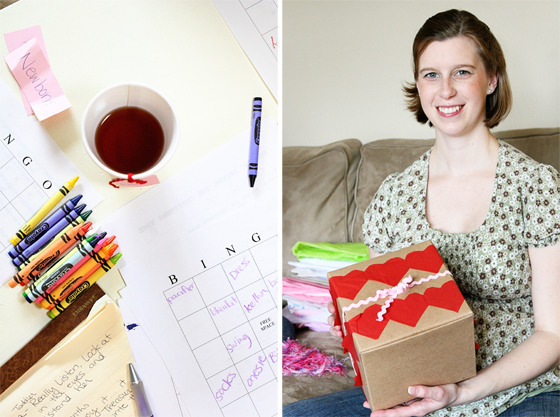 Kendra’s pink and red baby shower was in February. 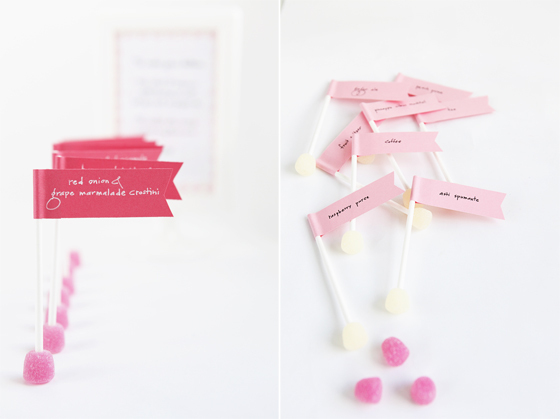 I provided decoration details and photographed it! 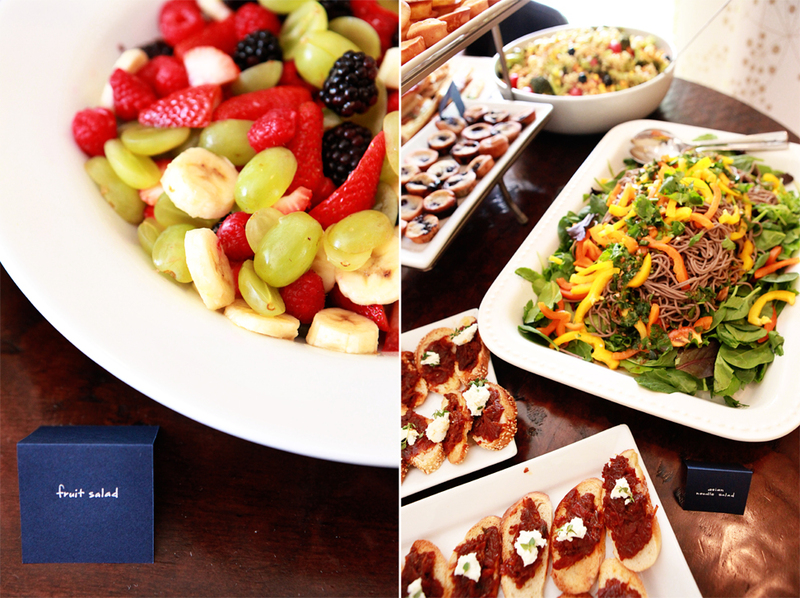 It was a wonderful celebration to welcome Kendra’s baby girl! 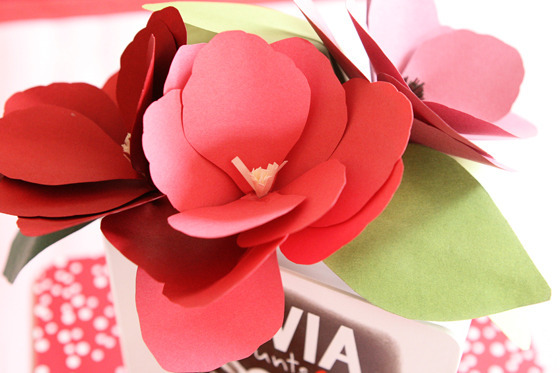 Flowers made using the templates from Paper Source's Magnolia Paper Flower Kit. 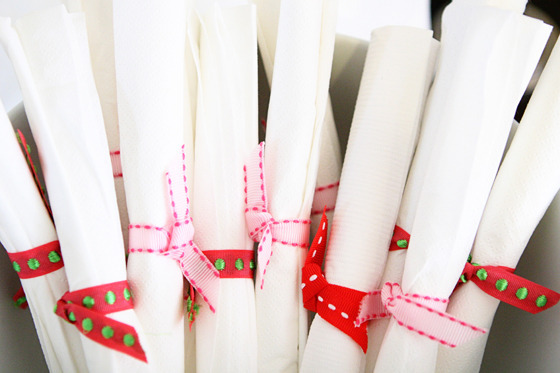 Paper Source is one of my main sources for paper and I love their diverse color palette! 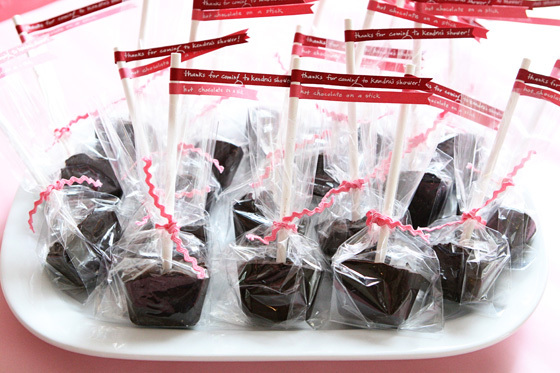 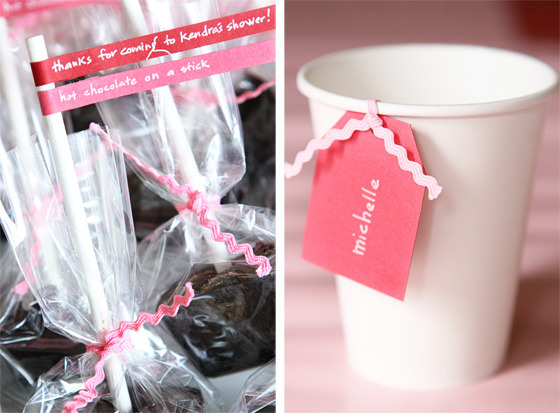 Hot chocolate on a stick favors thanks to AmberLee's recipe on Giver's Log (one of my favorite blogs!). 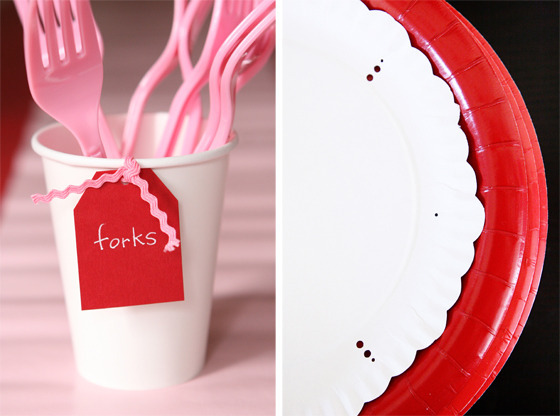 Plates a la Martha and white paper cups with ricrac-trimmed name tags. 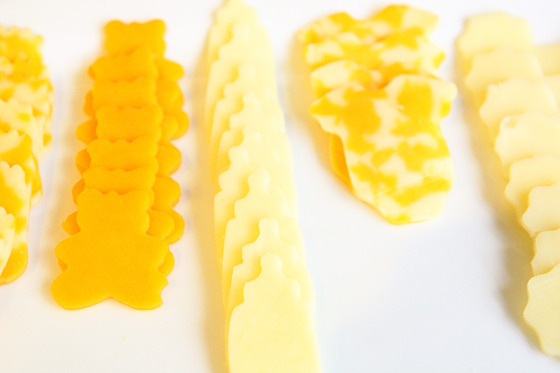 It was my friend Melodie’s idea to serve cheese in the shapes of baby things! 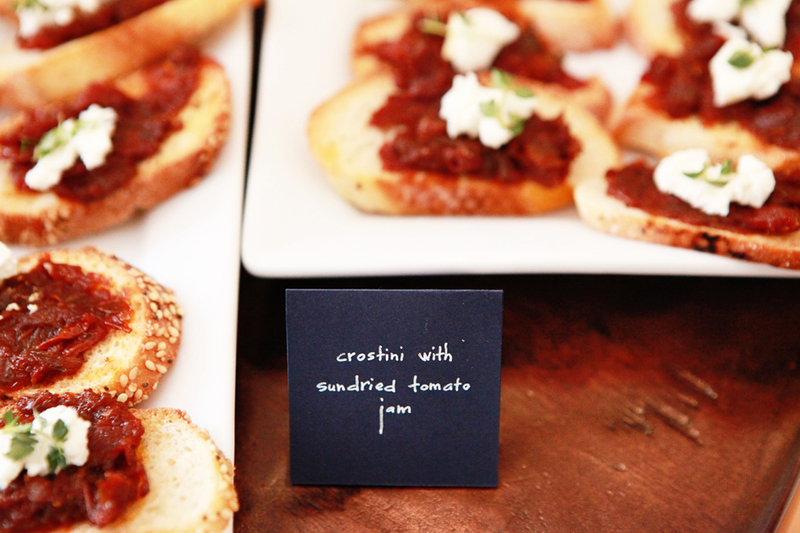 Who knew cheese could be adorable. 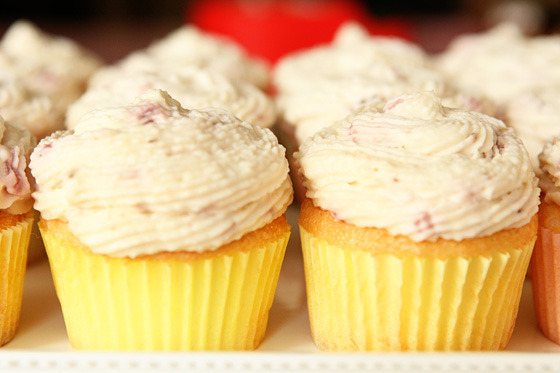 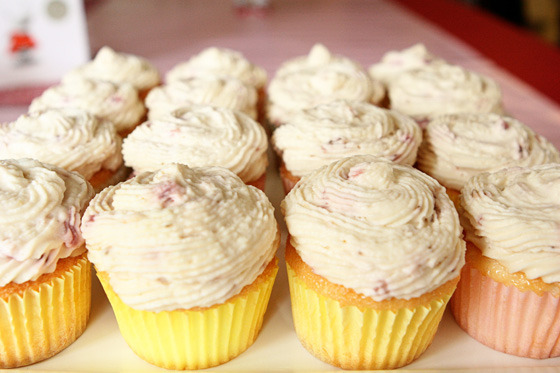 These angel food cupcakes topped with a wonderfully light strawberry mascarpone frosting were provided by JiYoung Choi of Choix Events.